Utorch Z3 1600 x 720 HD 3D Hologram Advertising Display LED Fan is a Brand new advertising display. 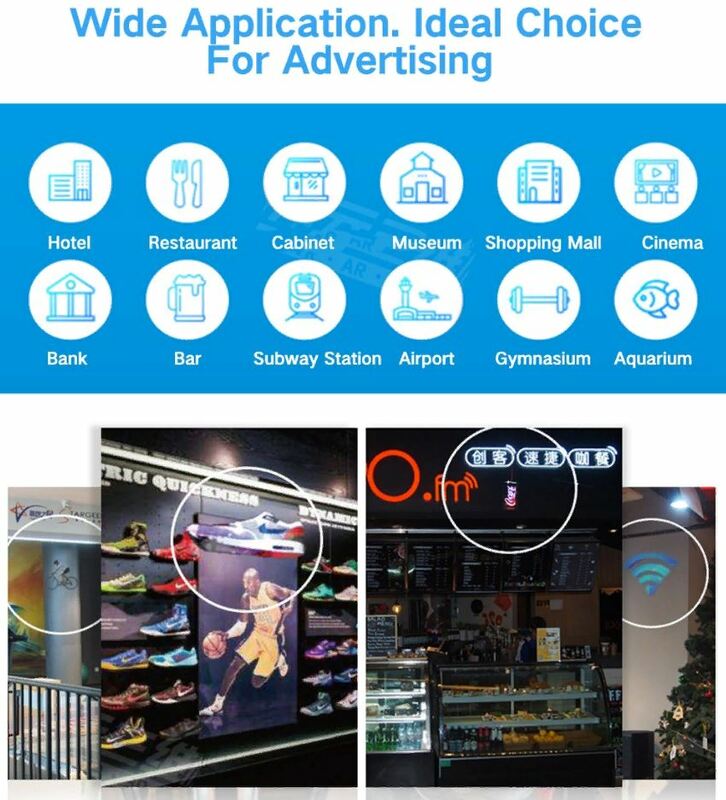 It is the best advert tool for shopping mall, cloth store, restaurant, museum and any other display area. Just simply copy any black background video into it and it will bring a vivid 3D advertising display in the air. The image will have no borders and backgrounds that will completely make you feel as if it appears in the air. 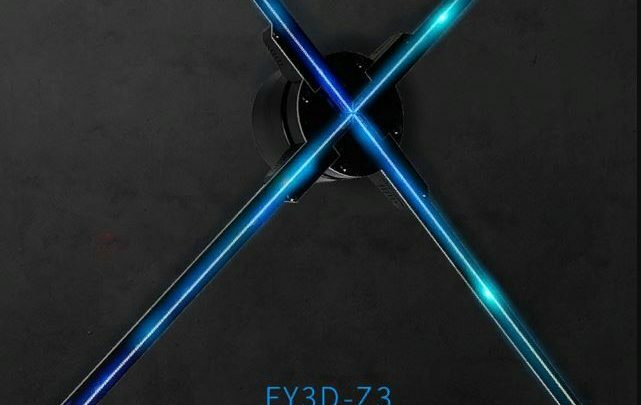 The Utorch Z3 1600 x 720 HD 3D Hologram Advertising Display LED Fan is made of ABS,Aluminum,PC and it comes with a conventional black colour. This gadget is suitable for Exhibition, Party, conferences etc. It support MP4, AVI, RMVB, MKV, GIF, JPG, PNG display format and a black background. 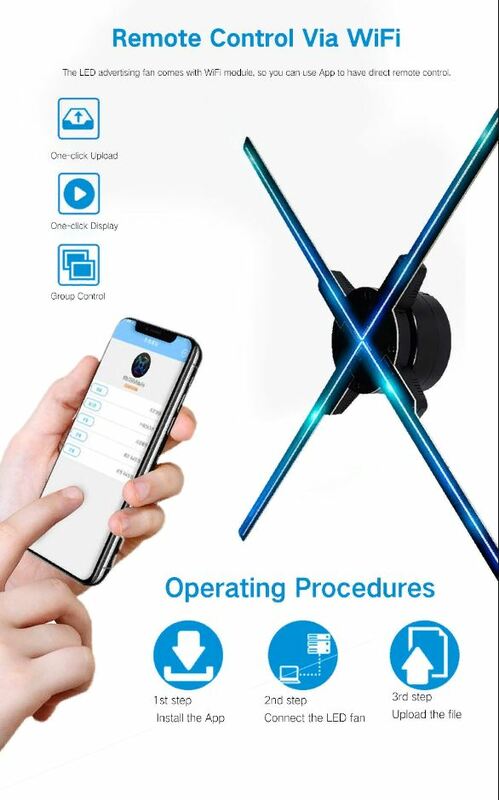 The Utorch FY3D Hologram Advertising Display LED Fan has three major operating systems for iOS, for Android, for Windows and With 4GB TF card. The Utorch Z3 1600 x 720 HD 3D Hologram Advertising Display LED Fan has a HD resolution up to 1600 x 720px and diameters of 65cm. It features a high refresh rate of 4 blades and enhanced chip, bringing a refresh rate of about 30hz. This gadget completely solve the problem of the previous splash screens. 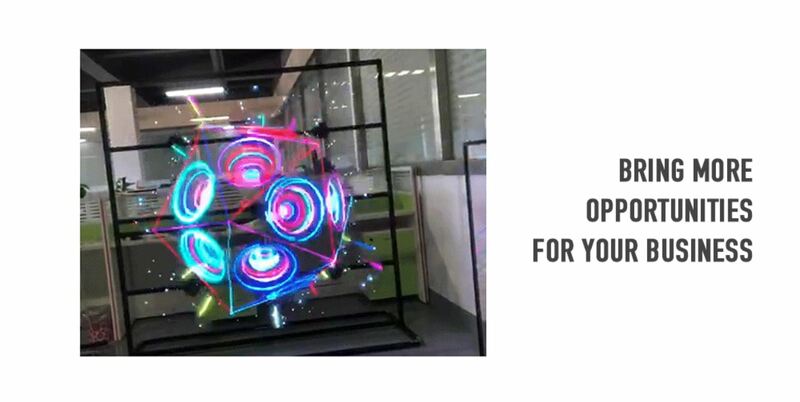 The Utorch FY3D Hologan Advertising Display LED Fan has dimensions of 65.00 x 65.00 x 65.00 cm and it weighs 2.0000 kg and of course it has a remote control and 3 x AAA battery to serve your purpose. 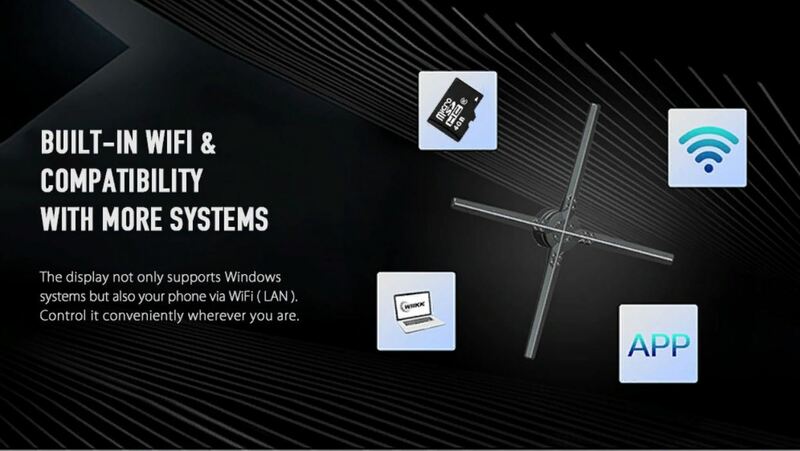 The Utorch Z3 1600 x 720 HD 3D Hologram Advertising Display LED Fan is currently available On Gearbest for $739.00.